CalFit Active offers expert coaching and guidance to improve your race experience with training programs that accommodate any ability or fitness level. Our small group programs meet for three hours each week and are designed for any distance run, swim event, obstacle race or triathlon. CalFit Active Coaches will train you on the road, on your bike, and in the water, while also incorporating sport-specific cross-training in our clubs. You will be educated on proper fueling, hydration, nutrition and mental toughness and preparedness. Interested in running a 5k, 10k or half marathon? 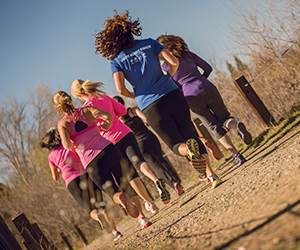 Check out our upcoming CalFit Active Run Training groups here.